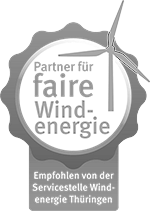 The Green Energy Group regularly presents its products and services at trade shows and exhibitions in Germany and abroad. Why not visit our experts at one of the events below? We look forward to meeting you personally at our stand! With Expo 2017 in Astana focusing on the theme of future energy, the Kazakh government plans to fund several major projects for power generation from renewable energy sources. The Green Energy Group will be participating in this year's Power Kazakhstan (Stand B73), one of the leading trade shows and conferences for energy producers in Central Asia, which every year is attended by manufacturers, suppliers and service providers from around the world. Green Energy 3000 Holding will be presenting its projects at the World Future Summit 2016 in Abu Dhabi – the world's largest conference and exhibition devoted to renewable energy and innovation – for the second time.The World Future Energy Summit showcases the growing renewable energy market in the Middle East. It's a platform designed to create partnerships, attract investments and bring innovations to market.